As I’m sure you’re more than aware by now, we already have a World Champion crowned in Sebastian Vettel as we go into the final race of the season. If you’re not aware then, well, surprise! The general perception going into these races following Vettel and Red Bull’s championship victory is that these races no longer seem to matter. Whilst their lack of championship victory value is correct, there’s still plenty to race for and, more relevant to us, plenty to watch for. Before writing this I spent some time reading various comments across the social networks that make up our virtual world and in the comments on Sidepodcast too. It made me a little bit sad that there seems to be a generally negative consensus to the end of this season, as if we’re going out with a very lame fizzle. It’s worth addressing some of the points that are leading to this conclusion. It has been a long season. With 20 races going from March to November, the argument that the season really has gone on for a long time is more than valid. I can only write from my point of view when I express how little of an effect this extended length of races has made upon me because there’s never been a point where I’ve thought to myself how I wish for the season to be over. 2011 has actually been a really good season personally, even with Barrichello struggling like an upside down tortoise trying to turn over, because I’ve enjoyed the racing so much. Could some be dropped and forgotten about? Absolutely. Is it worth getting upset about them whilst they’re there if they produce the goods? Certainly not. For example, Shanghai has never attracted me in the slightest yet I loved this years’ race. There’s also the issue of the BBC/Sky deal as we end the season going into an era of uncertainty which may contribute to this feeling. Whilst this only really applies to fans within the UK the uproar of the deal has left thousands upon thousands unsure what to expect next season and the sudden shock of the deal left a real sour taste from fans across the various nations. But that’s just that. Right now things like this are out of our control as fans. I also fear that a series of less eventful recent races at the Tilkedromes that infest our sport combined with the early completion of Red Bull and Sebastian Vettel’s victories may have hid that hindsight of quality racing behind these more recent events. 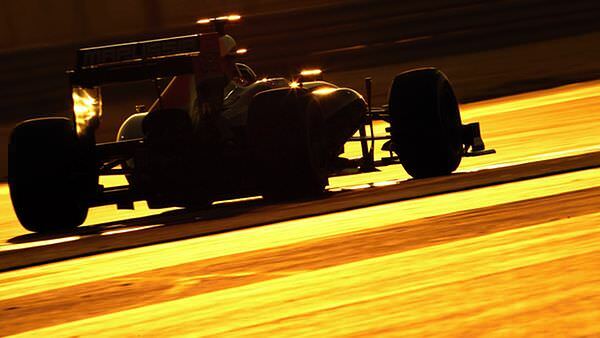 Don’t get me wrong – Abu Dhabi was an absolute shocker, but I was expecting an absolute shocker. It’s one race out of twenty. DRS could have been an absolute dud all season but, whilst not a success at every race, it’s done what it was designed to do. It’s had it’s fails but it’s had it successes too. And of course Lewis Hamilton and Felipe Massa have even brought the soap opera aspect into things too. But there’s so much to focus on instead of simply putting your hands up and looking at things with a frown. Going back to my point regarding the racing you look behind 1st and you found some really good races going on. One thing I have remembered this season, which I learnt as a Honda fan, is how much fun it can be tracking a driver down the back end of the grid when the focus is away from him as I always did with the dream team of Rubens and Jenson, It’s so easy to blame the champion winning over and over for a lack of interest for this season but compare that to some of the races when Schumacher dominated during his era and at least we’ve been provided with some stupidly good entertainment down the field, and also Liuzzi as well. I should make it clear that it’s certainly not criticism about anyone else when I write this up because the fact of the matter is you won’t please everyone. Everyone will have, and is entitled to have, an opinion and find the season awful or boring. But whilst I read this wave of an almost jaded fan base in places I needed to express this because it’s just not as bad as it could be. Is the racing really that artificial or is there just stubbornness in refusing to accept the DRS/KERS input into producing entertainment? Is the emphasis on overtaking affecting what should be regarded as a good race? Is it the rules or the uncertain future of the broadcasting that lead to a negative feeling? There are many questions to consider looking back at the season so far but the ironic thing is that last season we had a hell of a battle for the championship but the races weren’t actually very good whereas this year the races have been great for the most part. For me though, I just find it hard to be overly negative at something that I absolutely love to watch and just take in. Every race is something new to look forward to, whether the championship is over or not, and even if it’s at the most boring of all tracks. Why? Because it’s Formula 1 and I absolutely love it. No matter how annoying its rules may declare, no matter how dominant the participants can be, no matter what it does I keep coming back for more and I wouldn’t change that for the world. And I can sit here brimming with excitement for Interlagos not because there’s a championship battle but because it’s F1 at Interlagos and in all honesty that makes me a happy F1 fan. Someone go and ask Green Day to wake me up when the off season ends.